A great gift for any occasion. Martinellis are always a hit. Beautiful and delicious, these nonalcoholic beverages make it a festive occasion. 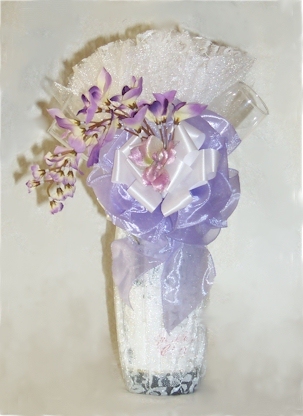 (Great for weddings, anniversaries, hostess gifts and showers!) These sparkling ciders give the look and feel of champagne without the alcohol! Sparkling grape also available! Delectable! Our Sparkling Spring Martinelli (shown at left) comes beautifully wrapped with two champagne flutes.